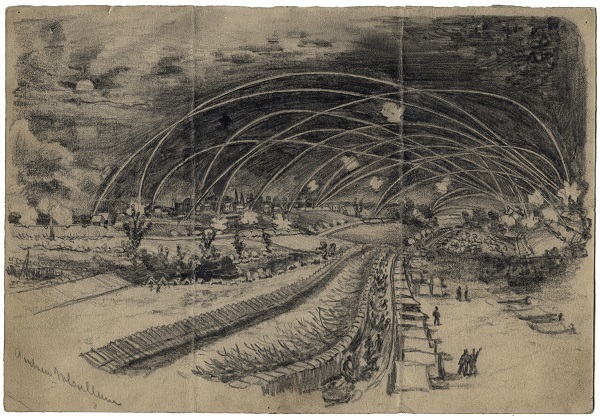 The Becker Archive in Boston, Massachusetts, contains approximately 650 previously undocumented drawings by Joseph Becker and his colleagues, nineteenth-century artists who worked as artist-reporters for Frank Leslie’s Illustrated Newspaper. They observed, drew, and sent back for publication images of the Civil War, the construction of the railroads, the Chicago fire, and other important events of nineteenth-century American history. 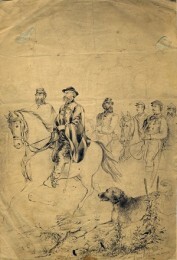 There has been no major exhibition or scholarly survey featuring Civil War drawings since the 1961 centennial, and at that time the Becker Collection had not yet come to light. Saturday, Sept. 24, 10 a.m.-5 p.m.
Come see K-State’s Common Work of Art for 2016, Dendrochronological Data Sequences by Andrzej Zieliński, chosen to complement the Common Book, Spare Parts by Joshua Davis. 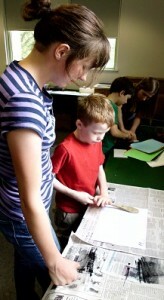 Throughout the day visitors can participate in a self-guided gallery activity and create a found-art sculpture project. Thursday, Sept. 29, 5:30 p.m.
Join us for a discussion of regional Civil War history moderated by Mike Hankins, PhD candidate in history at K-State. Speakers are Joan Stack, curator art collections at the State Historical Society of Missouri; Miller Williams Boyd, instructor in African-American studies, University of Mississippi; and Charles Sanders, associate professor of history at K-State. 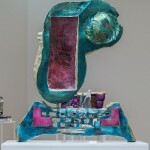 You Gotta Have Art: Celebrating 20 Years! 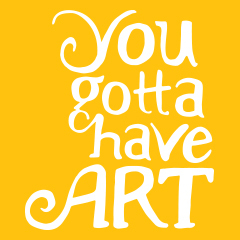 20th Anniversary Celebration Sunday, Oct. 9, 2-6 p.m.
Help us celebrate our 20th Anniversary and theme “You Gotta Have Art.” There will be activities for all ages, party favors, and, of course, cake! Cash bar opens and music begins at 4:30 p.m.
To celebrate the twentieth anniversary of its opening, the museum is unveiling a new look for the permanent collection galleries. Drawing on the twentieth anniversary celebration theme “You Gotta Have Art,” the galleries feature works from a range of periods, displayed together to highlight particular themes and stimulate dialogue. Expect to see gallery favorites by John Steuart Curry and Shirley Smith alongside works re-emerging from art storage after a long hiatus. Also on view are new acquisitions by significant contemporary Kansas artists, such as Roger Shimomura, Jane Booth, and Andrzej Zieliński, as well as promised gifts to the collection borrowed for this festive year. Fall 2016 ARTSmart celebrates The Beach Museum of Art’s 20th birthday with an exploration of the reinstallation of the permanent collection. Each class will include a Visual Thinking Strategies discussion or activity and an art project inspired by visiting an artwork in the museum. We can’t tell you which works because it will spoil the SURPRISE! September 14-16 Celebrate International Dot Day! The museum is open Tues, Wed, Fri, 10a.m.-5p.m., Thurs 10a.m.-8p.m., Sat, 11a.m.-4p.m. Free admission. Free parking.